The Tree Planting Program is one of the most visible and popular of the NRD’s programs. Since the program began in 1973, more than 800,000 trees and shrubs have been planted in the district. Those trees have helped replace trees lost to farming and urban development. They also help protect our precious topsoil from wind and water erosion. The LPNNRD sells trees to anyone within the district. Trees may be purchased as handplants (planted by the purchaser) or machine plants (planted by the NRD). Seedlings are two years old and approximately 12″ to 18″ tall. Trees and shrubs purchased through LPNNRD may not be re-sold with the roots still attached. The machine planting service is used for plantings of 150 or more trees and/or shrubs. The district’s tree planting crew is capable of planting up to 1,000 seedlings a day. We cannot plant trees outside our district boundary; for areas outside our boundary, you would need to contact the NRD where the land is located. Handplant trees are mainly purchased for small windbreaks and ornamental purposes. The NRD does not assist cooperators with planting these trees. They are made available for pickup at the NRD office in Wahoo or the nearest Natural Resources Conservation Service office. Planting tips are available here. A two-man tree planter is available for rent to plant handplant trees. Rental cost is $10 for the first day and $50 for each additional day. Contact Bob Heimann to make a reservation. All handplant orders must be in multiples of 25 trees or shrubs per species. Payment must accompany order. With this convenient package, you get 10 each of some of the most popular species for eastern Nebraska, including Ponderosa Pine, Swamp White Oak, Nanking Cherry, Colorado Blue Spruce, and Chokeberry. This is a great option if you are looking for smaller quantities of these trees. With this convenient package, you get 10 each of American Plum, Woods Rose, Nanking Cherry, Chokeberry, and Elderberry. Machine planting requests must contain a minimum of 150 trees and/or shrubs. A down payment of one-half the total or $100 (which ever is less) is required after the design is developed. The remaining balance will be determined after the trees are planted. Payment is due within 30 days after planting. 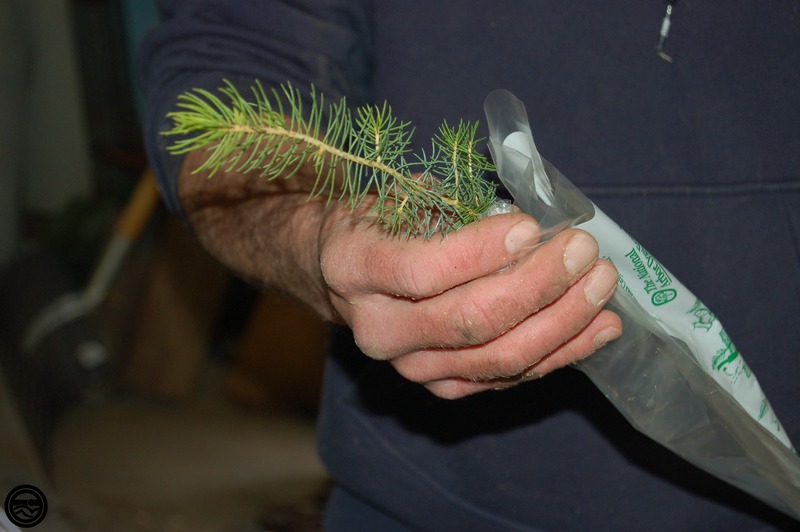 Trees can be ordered from the NRD beginning October 1 for delivery or planting the following spring. Many species often sell out, so orders should be placed early to ensure receiving the quantity and variety you desire. Request an order form from your local Natural Resources Conservation Service office. Handplant orders can be picked up at the NRD office in Wahoo or your local Natural Resources Conservation Service office. To apply for machine planting services, contact Bob Heimann or your county Natural Resources Conservation Service office. The NRD and NRCS will help you develop a tree planting plan free of charge. This includes determining how many trees or shrubs you will need, the best location for your planting and the species that fit your specific needs. When NRD stock is planted by the district, cost-share is available for riparian buffer areas; field, livestock, and farmstead windbreaks containing 200 or more trees; and wildlife habitat plantings of 300 or more trees. Cost-share assistance is also available for tree planting on CRP ground. Contact Bob Heimann for details. Tree species are limited; please contact the Lower Platte North NRD Office for availability information. To order hand-plant trees, contact Bob Heimann, Operations & Maintenance Manager, or call 402-443-4675. Conservation Trees benefit both people and animals. They shade and shelter homes, reduce soil erosion, protect crops and livestock, provide food and cover for wildlife, buffer noise, provide valuable products, and add beauty to our landscape. This tree planting tradition continues today. Each year, Nebraska’s Natural Resources Districts (NRDs) help landowners plant more than a million trees in the state. Get the Brochure: Order a free copy by filling out the form at the bottom of the page, or download a PDF version. Visit the Conservation Trees for Nebraska website at www.nrdtrees.org. The NRD has three grass drills available for rental to landowners for planting native grasses, grains, and legumes. 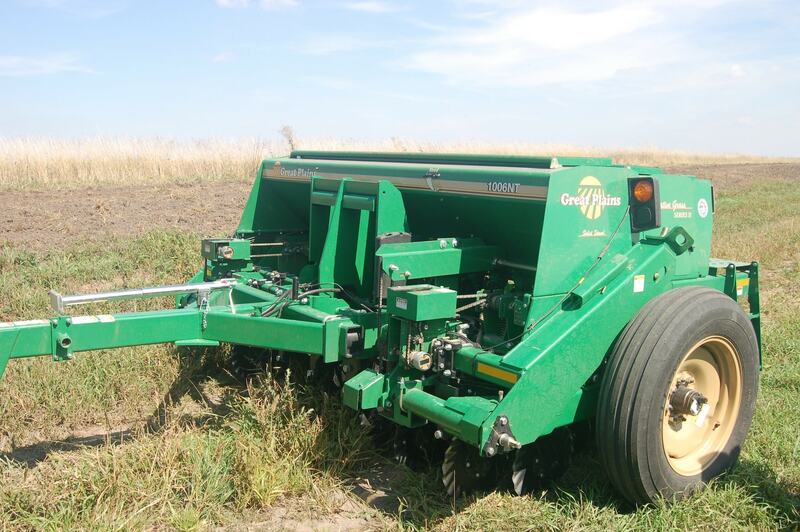 They are Great Plains No-Till drills with three different seed boxes capable of planting fluffy native grass seed, small seed like alfalfa and clovers, or coarser grain-type seed. Our drill renters can help potential customers set the drill for the appropriate grass mixtures at the time of rental. If you have other questions, contact Operations & Maintenance Manager Bob Heimann at (402) 443-4675 or bheimann@lpnnrd.org. 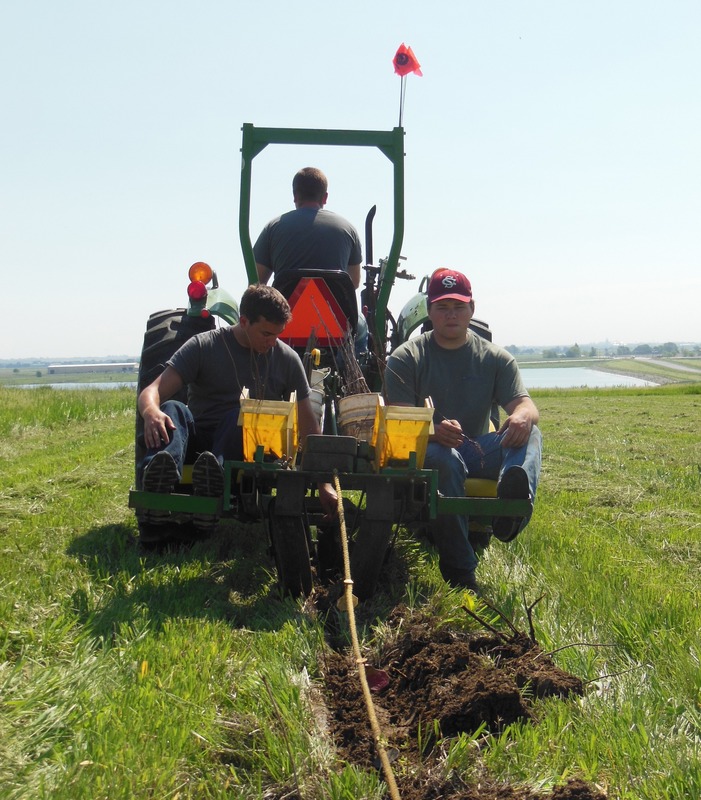 The NRD’s grass drills were purchased with grant funds from the Nebraska Environmental Trust. The NRD thanks the Trust for their support. Through the Community Forestry program, the Lower Platte North NRD shares the cost of planting trees and shrubs on public land with communities. Eligible sites may include school grounds, parks, cemeteries, street right-of-ways, and other public ground. The district will pay up to 50% of the cost for an eligible project, with a maximum of $1,000 a year. Any village, town or city in the district can apply for cost-share funds. When a project proposal is complete, it should be submitted to the NRD for consideration by the Board of Directors. The board will consider requests for cost-share funding on a case-by-case basis.